We work with visionaries: NFP organisations, ethical businesses and passionate individuals who are making a difference. We use the power of their real stories to prove the impact and value of their work, increase the effectiveness of their organisations and draw support from people who matter to their success. 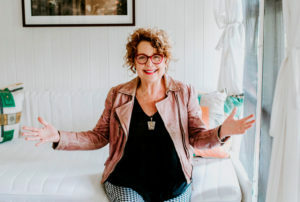 Way back before story became the new black of business (2005 to be precise), Moya Sayer-Jones founded Only Human Stories, Australia’s first creative + transparently-human storytelling agency for people doing good. Along with designer Clive Jones and photographer Dean Golja they began their own crusade to bring the power of the arts to the social sector. Moya has spent her own life exploring, enjoying and riding on the power of story and has seen story move minds and mountains. She began life as a writer and filmmaker: you might remember her Modern Guru column in the Good Weekend magazine or her comic novels about life in Australia. These days she is focused on helping others tell their stories, especially in ways that make a difference to our community. Only Human Stories works with both NGOs and government organisations to ignite the power of story to make a bigger difference in what organisations do and how they do it. 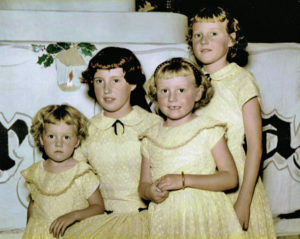 It’s not easy growing up as the youngest in a family of four noisy daughters. You struggle for airtime and you can never, ever get the attention you know you deserve. I learnt pretty early that if I was going to get a word in, I’d better be entertaining and be saying something that was interesting to the others. Oh yes, I also learnt that you should never give up. Not surprisingly, my professional life started as a comedy writer. I studied writing at Sydney University and The Australian Film and Television School and then I wrote and performed for television, film, live theatre and print, both in Australia and internationally. In all my writing, I mined my own life (and that of my sisters) mercilessly. Hah! Payback time. Then about ten years ago, everything changed. I would probably say I had an epiphany (if I was only sure how to spell it). I was asked to write a non-fiction book, a collection of stories from families suffering disadvantage. The goal was to put vulnerable families on the national agenda. And it did. Ten stories later, I witnessed first hand the power of real stories to engage resistant or uninformed audiences: politicians, government departments, service providors, institutions and ordinary members of the community. I also saw the effect the book had on the storytellers themselves. I watched their confidence in their own choices grow after they told their stories, often for the first time. It was amazing, wondrous. As they stepped up to become passionate advocates for our project, I saw the conversation with our audience grow and bias give way to understanding. Some of those very first storytellers are accomplished advocates still. That project convinced me of the power of real stories to connect meaningfully with a wide array of disparate people at a very human level. I was hooked. And that’s how Only Human Stories was born. My thinking being that anything that makes so many people feel so valued and so ready to act, has to be good. The people we work with usually share these qualities: They are visionary individuals, working in the not-for-profit space because they believe in the usefulness and importance of their work. They know that they have the power to make a difference and are nourished by the human dimension of their work. They are inevitably searching to reach for something bigger, better and more creative for themselves, their people and their communities. They sense that there’s a better and more meaningful way to do things and are searching for the switch to turn the lights on and light the path ahead. © Copyright 2018 Only Human Stories. All Rights Reserved.